So a new Star Wars game got announced today, and people seem pretty ho-hum about it, mostly because it’s for mobile. But it got my attention right away, mostly for the art. 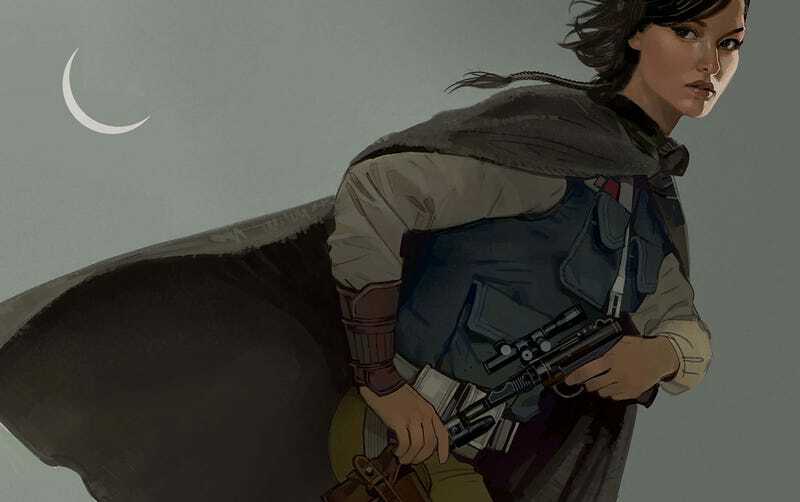 Four images of the game’s characters, all drawn by Brian Matyas, were released today, and I don’t think I’ve seen a Star Wars property channel Ralph MacQuarrie and the classic trilogy’s art style so perfectly. The tech, the costumes, the colours, everything, it all looks amazing. Which sounds trivial, but don’t underestimate the effect it has on your enjoyment of a Star Wars game! As I’ve explained, the more a game looks and feels like it came from the same universe as the films, the better. There’s nothing jankier than playing a Star Wars game where half the stuff looks like it came from Star Wars and the other half came from Generic Video Game Artist Sketchbook. You can see more of Matyas’ work at his personal site.